Naazani, a shy girl with a lonely childhood, was born and brought up in Dehradun. She moves to a metropolitan for further education and gets absorbed. In a series of events, she decides to adopt prostitution and becomes one of the most successful high profile escorts of the city with the help of her manager Sharat. In a quest to be successful, she leaves her friends behind and dedicates more time to her profession. Nazaqat witnesses a police raid at a nearby place and the real scenario of prostitution terrifies her. She decides to take a stand and do something about it. However, Sharat convinces her that she is not powerful enough to make a difference. Nazaqat retires and pool all her money and starts a restaurant Joy foods in partnership with Sharat. The business grows and soon enough they have numerous outlets in various cities and Naazani Singh Shekhawat emerges as a significant entrepreneur of nation. To cherish the old memories, she organizes a group together and calls all her old friends. Next morning, it is found that something drastic happened the night before. Meanwhile, she invites an author Matthews, who is an old acquaintance to pen down her own biography. He visits her each night and in a series of ten nights, her story finds its crescendo. Will prostitution be legalized? Whats her intention with the biography she is planning? What shall be the fate of Naazani Singh Shekhawat aka Nazaqat? 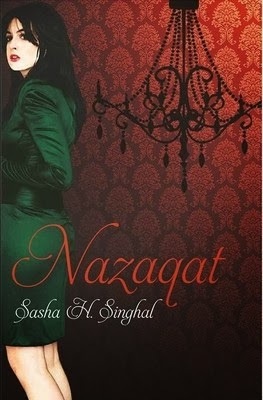 Nazaqat is a very detailed and carefully woven story which is a unique blend of thrill and drama. It is a refreshing story about a girl who adopts prostitution on her own will and starts a quest to legalize prostitution in India. While its entertaining because of the commercial voice, it also addresses grave issues of feminism, prostitution and homosexuality in society. I received a request to review the book from the author. Although I didn't know the author, the premise of the plot seemed off-beat and interesting, hence accepted the request. However, I was quite disappointed. The book is full of grammatical errors. The first time I encountered one, I brushed it off as an editing error, but to my dismay, it did remain a constant feature throughout. Frequent use of analogies to convey a message also seemed unwanted. The book did show some bursts of promise now and then, but that's about it. I expected to feel for the protagonist and understand her moves as the story moved but I was hardly convinced. The story lacked depth as it moved superficially and ended with a dramatic twist. Well, to cut the long story short, it didn't make the cut for me. The book has some good reviews too, so probably its just me. Grammatical errors can be a turn off I agree. The subject seems different though. I wonder how grammatical errors get past all the editing that a book is put through! And I find even books by reputed authors having turn offs like repetitive phrases. Ashwin Sangi in his book Chanakya's chant has used the phrase 'had seen better days' to describe anything that is old. I came across that word atleast 4 times and it was downright annoying. Hmm..at least the language was not flawed...and I'm not sure if all publishing houses perform the due diligence. I came across things like " They were kissing hardly." If you just analyze this even without the context, it is a wrong construction both ways. I stopped short at the "metropolitan" in the summary. So I can imagine the book must have been a bit of a challenge to read. Pity. 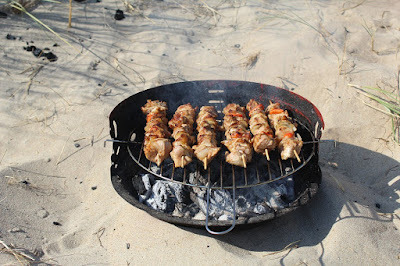 Yes, pity me...the language was quite poor..